The best NDE stories and quotes from 40-plus years of research. 60 chapters. 38 Experiencers. 8 Researchers. All lovingly packed into a small, beautifully designed book. No filler or fluff. 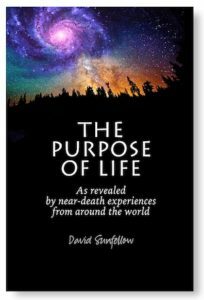 Just stories and quotes that powerfully illustrate how to apply NDE truths to our daily lives. A perfect gift for the special people in your life (including yourself). Version 2.2 (the gift version of this book) is available here. Version 3.0 (the expanded version of this book, which includes a new cover, title, and 31 additional chapters) is available here.